Telenor Sim Lagao Offer 2019 - XpertShout Yayın bulunmaktadır. Telenor is offering Telenor sim lagao offer again. Telenor sim lagao offer eligibility is given below. Sim lagao offer is for Djuice and for any other tariff. I did not check. I am sure there is also available Talkshawk sim lagao offer. Customers who have not done any activity since 14 Dec 2018 can use their phone for FREE for the next few days (as per details given below). 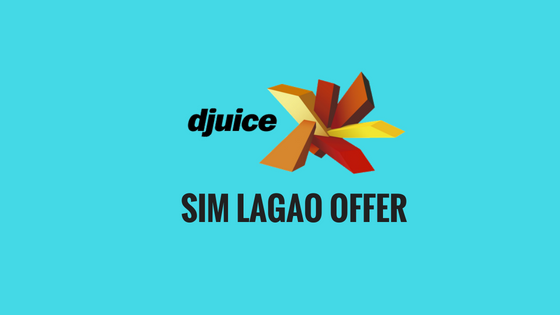 Djuice sim lagao offer is limited and can be closed any time. So please hurry up and activate this offer. this offer can't be called as Telenor Sim Lagao Offer because it is for Djuice Sim Lagao Offer. And it is also available for talkshawk. So, can be called as Telenor Sim Lagao Offer 2019. Customers who have not done any activity since 14 Dec 2018 are eligible. 50 minutes and 100 mbs internet will be given daily for 2 months or 60 days. Further details are given below. Check Your Number for Sim Lagao Offer. Just click on check button below for checking number eligibility.